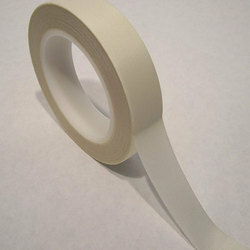 Leading Manufacturer of ptfe glass fabric adhesive tapes and ptfe glass cloth tape from Ahmedabad. Acknowledged in the market as one of the illustrious manufacturers, we are engaged in offering a wide range of PTFE Glass Fabric Adhesive Tapes. 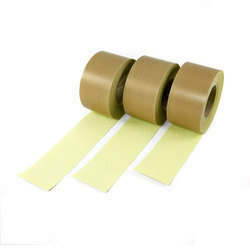 Applicable in an easy-release surface on packing and heat-sealing machines and ironing and pressing equipment, these tapes are highly acclaimed in nation wide market. Moreover, with the support of our team of C&F agents, we are able to dispatch our range on-time to the clients' end.